There are more than a thousand people in the world who’d rather sleep in hotel rooms than in their own bedrooms, and this is what keeps the hotel industry booming. But as the demand rises, so does the competition in the market. 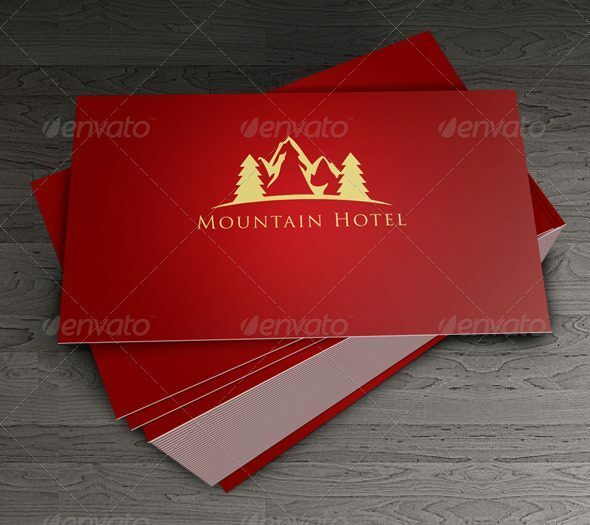 Living in an age where traveling the world is on top of everyone’s bucket list, coming up with a good logo design for your hotel business is a great way to attract tourists. Not only will a fascinating logo design be more appealing, but it’s also easier to remember. However, drafting a logo design from scratch can be a huge challenge for most people. It’s essential for a company to craft a logo that represents the business accordingly, while still bearing a timeless design that prospective customers will keep in mind. To help you get started, we have gathered a wide variety of flat logos and 3D logos to inspire you. Aside from coming up with a good business plan to keep your business afloat, there’s a no denying how a good logo design can keep you under everyone’s radar. But a logo is more than just an image that symbolizes a company, as it is deemed to be the visual interpretation that greatly affects how your audience will perceive your company for the rest of time. You would need a business logo that can strengthen the image of your brand, while still being appropriate enough for the market you serve. 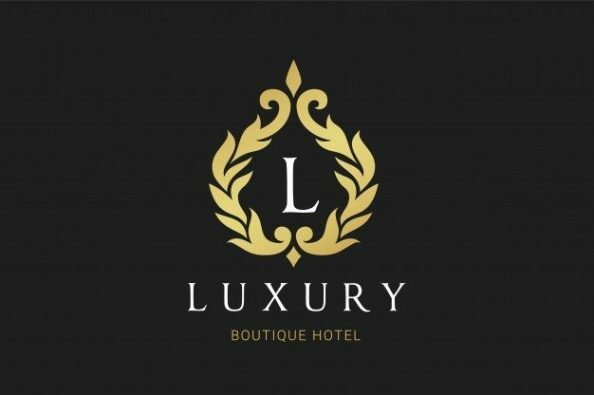 In most cases, you can easily tell whether it’s a luxurious hotel or one that is suitable enough for those on a budget by simply looking at the design of their logo. It’s a long established fact that a company logo can easily influence a customer’s perception about a company, even without firsthand experience. Knowing this, it’s essential for any type of business to create a logo that can leave a positive impression towards its audience. 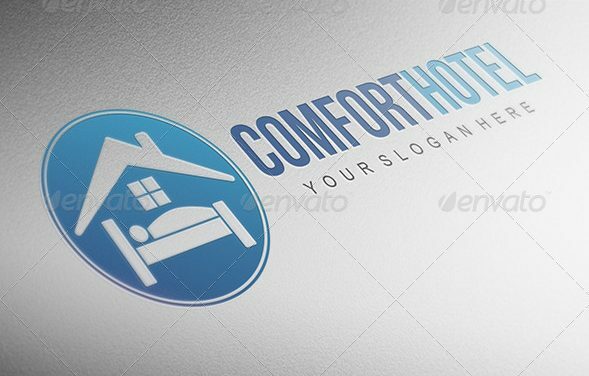 After all, you wouldn’t want to scare away customers with a logo design that’s suitable for a brothel. Building trust between a company and its customers is a huge factor in the hotel industry. After all, a person would want to make sure that the hotel is safe enough to stay at and is worth every penny as well. This will also help you gain loyal customers, who may come back in the near future or recommend your services to friends and family. A good logo design can definitely help you market your business in the simplest way possible. Establishing your business in the market can be quite challenging, especially for startups. It’s important for entrepreneurs to consider every aspect that affects the image of their business, which includes the logo they choose or create to symbolize the company as a whole. 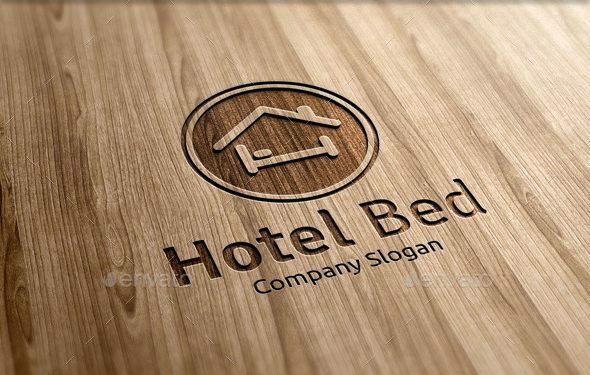 A good logo design can help your hotel business appear credible in the eyes of your audience, as it provides a glimpse of your company’s values, vision, and mission. Although a strong brand recognition plays a significant role in the success of a company, it’s important to recognize how a logo serves as the foundation for such. Following the latest trends. New fads come and go all the time. While there’s nothing wrong with joining the bandwagon, doing so in designing a logo can cause redundancy. Some designers tend to do the same thing over and over again, stripping away the uniqueness of each creation. So when this happens, you can expect your logo design to lose its spark after a few years. Typographic mess. There are a number of do’s and don’ts when it comes to typography, so it comes as no surprise how this can greatly affect the look of your logo, especially if you decide on doing a monogram logo or a logotype. Using more than two fonts can cause a chaotic scene of one struggling to outshine the other, so it would be best to restrict the number of fonts you use, while paying close attention to spacing, kerning, and sizing your text as well. Applying too much client input. Clients typically have a vision of what they want their logo to look like, but that doesn’t mean you have to follow every word they say. As a professional designer, you know more about the principle of design than your client does, so it’s your responsibility to provide direction. It’s not so much that you’re ignoring the demands of your client, as this involves proper communication and understanding on what’s good and what’s not. You have to be open-minded when you do so as well because at the end of the day, it’s a team effort. Complexity. Having too many concepts in mind is a recipe for disaster. Your logo might look good on a billboard display, but it may also appear a lot differently on paper. This is why it’s always best to draft your logo on paper to make sure you have a clear vision of what you want. You need a logo that’s memorable, and that’s almost impossible to achieve with an over-the-top design. 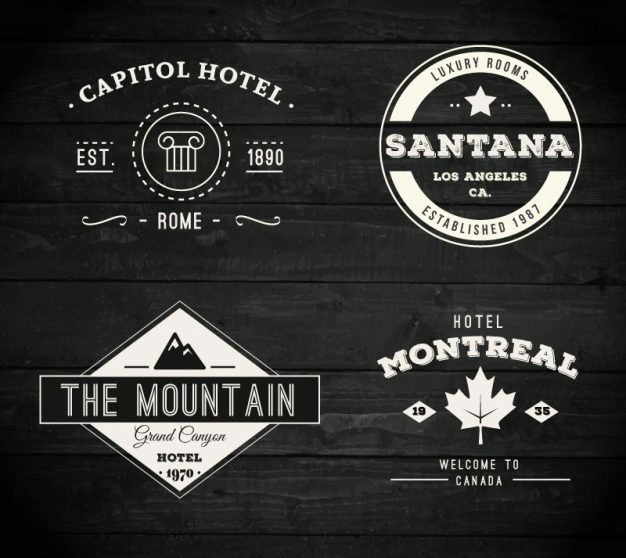 Remember, your logo should be versatile enough to adapt to any type of medium, regardless of its size. Poor color choice – Although a logo’s design should not rely on colors for effects, this doesn’t mean you can disregard the type of colors to use. Keep in mind, your logo is likely to be printed in color more often than not. Using vibrant colors may be too distracting and muted colors tend to be too dull. It’s important to choose colors that can visually appeal to your audience for better communication. Get inspired. If you’re a creative mastermind with a head full of ideas, then good for you. If not, it would be best to take inspiration from other works. It’s not so much that you’re copying another person’s design, it’s more of a creative inspiration to craft your own. This will help you decide on a concept to follow, along with other elements you wish to include. Avoid the cliché. Speaking is to a chat bubble as writing is to a pencil. Using these symbols for your logo can give your audience a clear image of what your business is all about. However, this can also be very predictable. To maintain originality for your logo design, you have to come up with something relevant yet unexpected. This might take time to develop, but the outcome will definitely be worth it. Keep it simple. In most cases, the simplest designs can be the most powerful. But simplicity doesn’t have to be plain and boring, as a simple design can be an image with a little twist added into it. For luxurious hotels that want something bold and daring, it wouldn’t hurt to go the extra mile. You just have to make sure your logo doesn’t resemble another existing logo design, as this can cause major confusion (and possible legal woes). Know what it stands for. The best logos are often the most meaningful. Ever wondered about the real story behind the famous Nike Swoosh? Considering the market they serve, it’s easy to associate the logo with speed and motion. But if we dig even deeper, the ‘Swoosh’ represents the wings of the Greek goddess, Nike, which means victory. There’s more to the company than the logo they possess, as successful branding also plays a part. Use the right software. Choosing the right software to design your logo is vital. You might think it would be easier to design a logo on MS Paint, and even if it is, you wouldn’t exactly get the best output to work with. You need to use a software that produces vector designs, such as Adobe Illustrator, rather than raster graphics. This creates a huge difference in the quality of your logo, especially when scaling is involved. 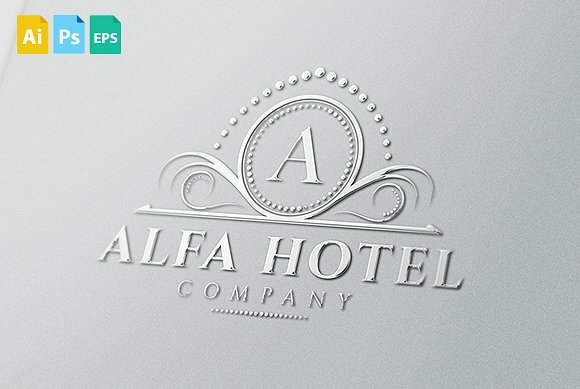 Creating a good hotel logo can be tricky, especially if you’re torn between a luxurious design or a casual one. You have to consider the market you serve and the visual image you want customers to remember. This will allow you to connect with your audience through creative visual marketing, which can help you establish yourself in the industry as well. Remember, it’s all about creating a positive first impression and letting that impression last for a lifetime.